COLUMBUS — State Representative Jay Edwards today was unanimously elected by his colleagues to the Ohio House leadership team. 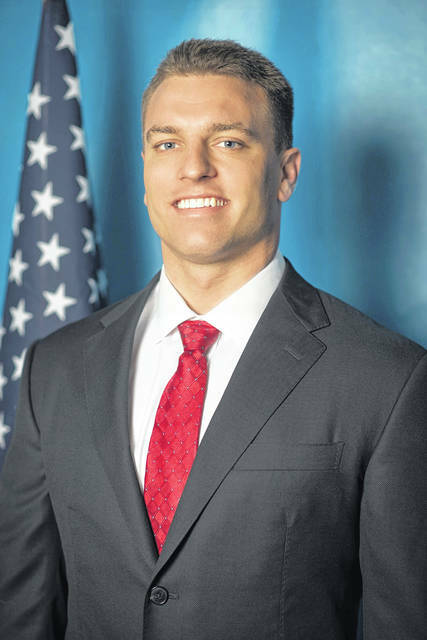 Edwards (R-Nelsonville) will serve as Majority Whip, the fourth-ranking spot in Republican leadership. He began his second two-year term in the House last month. “I’m humbled by the trust my colleagues have in me and I look forward to working with them to help advance an agenda that supports Ohio families and invests in Ohio’s future,” Edwards said. Edwards said when he first ran for the Ohio House, he made a commitment that he would work every day to give Southeast Ohio a strong voice in the legislature. As a member of leadership, Edwards said he plans to continue working with Democrats and Republicans in Southeast Ohio and at the Statehouse to advance meaningful policies for the region and the state. “I genuinely believe that by working together, we can tackle the challenges of today and make a real difference,” Edwards said. Information provided by the office of Jay Edwards.